Although they have been around for some time, electric vehicles (or EVs), are starting to become more popular as we become a more environmentally conscious nation. With a full charge averaging around £3.64 for 115 miles and of course the lack of emissions, you can see why so many drivers are taking the plunge and opting for a state-of-the-art electric car. 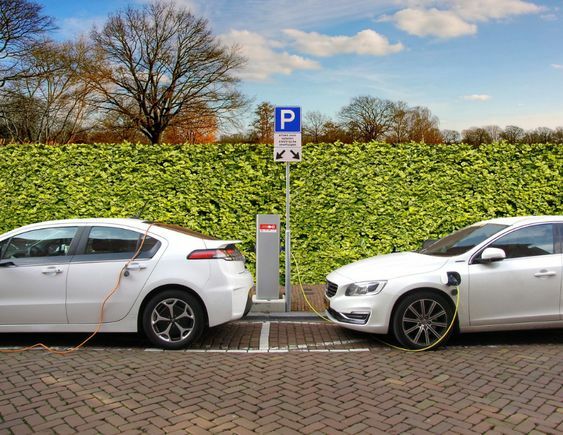 If you’re thinking of joining the electric car community, we’ve enlisted the help of several electric car and environmental experts to help us put together a list of some of the pros and cons of electric cars, so you can see if they are right for you. As we all know, one of the main selling points of electric cars is the lack of CO2 emissions they produce. Auto Express says that one thing to note is that there is a small amount of pollution caused when charging. “The only time an EV pollutes (other than when you finally scrap it) is when it's being charged, and even then the emissions are traced back through the National Grid to the power source. If that happens to be a renewable source (solar panels/wind farm/wave power), then you could genuinely be contributing to lower harmful emissions into the environment. According to the Transport & Environment (T&E) website, a survey conducted by Ipsos Mori for NGO Transport & Environment (T&E) found that 40% of European citizens surveyed say it is “likely the next car they’ll buy or lease will be electric or fuel cell powered”. This is great news, considering how slow the electric car has been to take off. But unsurprisingly, 65% of respondents that wouldn’t be interested in buying an electric car said the biggest barrier for them was price. Interestingly, 62% of those who said they wouldn’t buy an electric car said they felt as though car manufacturers are not doing enough to promote electric cars with attractive marketing, pricing and choice. But it could be getting cheaper, says T&E. Tumbling battery costs could mean that electric car prices should come down soon as well, and that we may start seeing electric vehicles priced roughly the same as what you’d expect as a diesel car. Auto Express also says there are Government incentives available that can help, namely the Government's Plug-In Car Grant (PICG). “The PICG used to be £5,000 for every low-emissions vehicle, but today there are different tax discounts and grants according to what you want to buy. Because of the environmental benefits of electric vehicles, Auto Express says they are also exempt from some taxes. “If you're buying privately, then an EV costing less than £40,000 qualifies for free road tax. Cars over that price cost £340 a year in road tax for the first five years, but after that, they are also road tax exempt. The survey also highlighted that 37% of those surveyed were concerned about a lack of charging points, which Linda from EV Driver also agrees with. EV Driver provide electric vehicle charge point solutions in the UK, and Linda finds that although business is booming, the lack of charge points is a huge put-off for people looking to buy an electric car. “There is definitely a lack of charging infrastructure and more charge points are needed,” she told us. Also, with prices of electric vehicles likely to drop and an increase in demand, we should also see an increase in charging points to meet the increase in the number of electric cars on the road, so this issue should be addressed in time. Also, a lack of gearbox and direct drive will take some of the fun out of driving for enthusiasts that enjoy using traditional gears. Are you looking to take the plunge and purchase an electric or hybrid car? We offer a range of new Ford cars including a Ford Mondeo Hybrid that is sure to take your fancy. Get in touch with our friendly team today.